Potential for severe thunderstorms this morning. 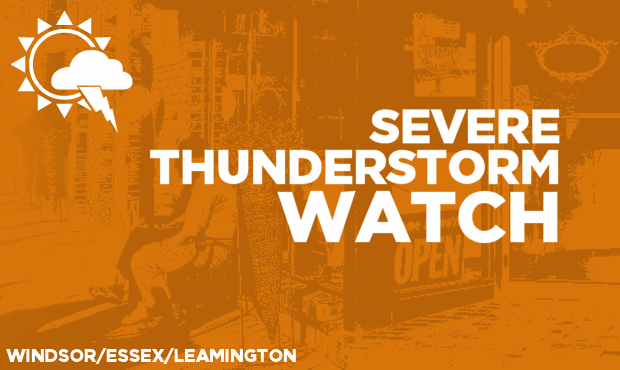 This is an alert to the potential development of severe thunderstorms with large hail, damaging winds or heavy rainfall..Monitor weather conditions and listen for updated bulletins. Thunderstorms approaching from Michigan have the potential to become severe this morning. The main threats are torrential downpours and damaging winds to 90 km/h.